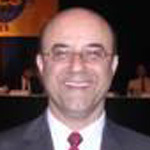 Dariush Shirmohammadi is the Chief Consultant with Shir Power Engineering Consultants, Inc. His more than 30-year tenure in the electric power industry has involved technical leadership in all areas of transmission and distribution planning and operations as well as in the design and implementation of electricity markets. His most recent work has been focused on developing solutions for interconnection and integration of renewable resources. Some of his industry assignments have been the Director of Regional Transmission Organization with the California ISO (CAISO), Chief Technologist with NECC (now NASDAQ-OMX Commodities Clearing LLC), Vice President of Solution Consulting with the OMX Group (now NASDAQ-OMX), Managing Consultant with the Energy Practice of the PA Consulting Group, Director of Emerging Energy Market Services with Perot Systems Corporation, the Director of Energy Systems Automation Group with the Pacific Gas & Electric Company (PG&E) and Transmission Designer and Planner with PG&E and Ontario Hydro. Dariush has authored and co-authored numerous technical papers and report and has lectured in academic, industrial and regulatory forums around the world. He has a Ph.D. in Electric Power Engineering from the University of Toronto and is a registered professional engineer. Dariush is also a fellow of Institute of Electrical and Electronics Engineers (IEEE) and the recipient of many other industry awards.